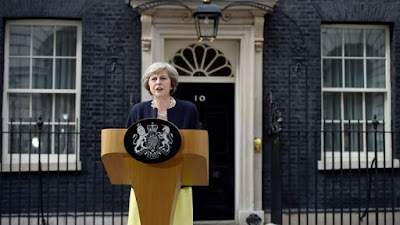 So now that the reshuffle is complete and our new Prime Minister has created her cabinet, I thought I'd compile my thoughts on Theresa May becoming the latest resident of 10 Downing Street. She wasn't my first choice, in fact at one point I was very much 'anyone but May', for a number of reasons that I shall outline here. Some of those concerns have been addressed already, others have not. "So many of our political and business leaders have responded by showing that they still don't get it. There are politicians, democratically elected politicians, who seriously suggest that the government should find a way of ignoring the referendum result, and keep Britain inside the European Union. And there are business leaders, whose response has been, not to plan for Britain's departure or to think of the opportunities that withdrawal presents, but to complain about the result, and criticise the electorate. Well I couldn't be clearer. Brexit means Brexit, and we're going to make a success of it. There will be no attempts to remain inside the EU. There will be no attempts to rejoin it by the back door, no second referendum, the country voted to leave the European Union and as Prime Minister I will make sure that we leave the European Union." This was important to hear, and was very welcome. It was also good to hear her back the electorate and the democratic process, against those such as David Lammy, who seek to ignore the biggest democratic event this country has ever seen. This cautious optimism was reinforced when May named her Brexit-backing cabinet members on Wednesday evening, with Boris as foreign secretary, Liam Fox heading up the newly created Department for International Trade and perhaps most crucially, David Davis as Minster for Exiting the European Union. The mere creation of these latter two departments would be enough to put my mind at ease but the positioning of pro-Brexit ministers in these departments sends a clear signal that we truly are leaving the EU. Bad news for europhiles hoping to ignore democracy, but great news for democrats and Brexiteers alike. Not that it will be plain sailing from here on out. Davis sees the WTO option as a viable path for Brexit, and the new chancellor Philip Hammond has also previously mentioned leaving the single market. This is a non-starter, because it's not tariffs that are the issue, but rather regulatory harmonisation. This is why I've been an advocate of Flexcit throughout the referendum, and it was good to see it's author Dr Richard North, addressing the Treasury Committee this week, laying out the sensible approach to our withdrawal. This is where the real work will take place and I'll be looking to post in more detail about that committee in the coming days. So whilst they're not without their issues, May's appointments have at least put my mind at ease over Brexit. Hopefully those appointees will pursue a truly global free trade agenda over the coming months and years. My biggest issue worry with May is in the realm of civil liberties. She has been one of the most illiberal and authoritarian Home Secretaries we've had in decades. May opted us back into the European Arrest Warrant, an appalling apparatus that rides roughshod over the principle of habeas corpus. 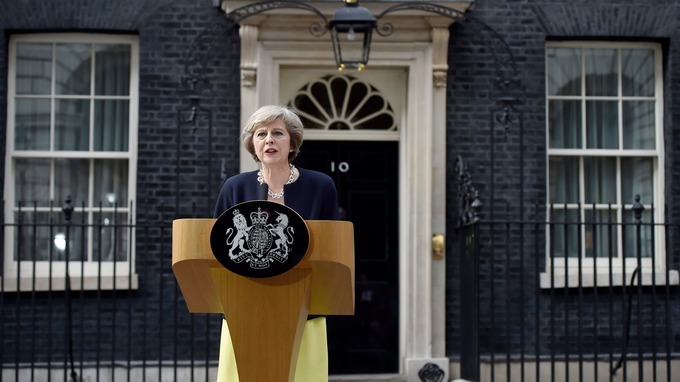 During the coalition, she introduced the Data Retention Investigatory Powers Act (DRIPA), which, without prior public consultation, sought to restrict internet freedom and was eventually ruled to be unlawful. Then there is the Investigatory Powers Bill, aka the 'Snooper's Charter' which greatly expands government surveillance and poses a real threat to privacy, and journalistic integrity. It's a truly draconian bill, whose powers are available not only to domestic law enforcement and security agencies - who haven't actually asked for the powers - but to any government department, such as HMRC, for practically any purpose, giving the state the legal power to check browser histories and hack every device you use from your smart TV to your satnav. There's also no judicial oversight, with the present form of the bill allowing the Prime Minister to appoint a body to authorise warrants and audit it's own work. The more you read about it the more horrifying it becomes. It's well worth checking out Don't Spy On Us and support their work in helping to fight against this truly Orwellian piece of legislation. On top of this we have the threat to free speech contained within Extremism Disruption Orders, which May has overseen as Home Secretary. The incredibly vague definition of 'extremism' means there's a real threat to the orders being issued for legitimate expressions of opinion, and not just for security purposes. Home office minister Karen Bradley gave a baffling performance at the Joint Committee on human rights which prompted an alarmed response from campaign group Defend Free Speech. David Davis was one minister who helped orchestrate the legal case against DRIPA and has a relatively decent record on civil liberties. One hopes he can act as an important voice in the cabinet against May's authoritarian tendencies. Whilst she may no longer be home secretary, the appointment of the relatively beige Amber Rudd to the post suggests that May intends to keep a close eye on the department and press ahead with the current policy direction. Let's hope the likes of Davis, as well as organisations such as Don't Spy On Us and The Freedom Association (who I plan on joining shortly) can help put pressure where it's most needed. It's not just in the realm of surveillance in which our new Prime Minister is pushing a big government agenda though. Her leadership campaign speech also set out policies for curbing big business that Ed Miliband would be proud of. Controls on chief executive pay, workers on boards - these are the kind of policies that Sam Bowman of the Adam Smith Institute rightly points out voters rejected at the last election, and for good reason. She might be only the second female Prime Minister this country has seen, but free market Thatcherite May is not. The appointment of the Heseltinian Hammond to the Treasury reinforces this. Brexit appears to be in decent hands, or should be once the real work begins and political nonsenses can be put aside, but when it comes to domestic policy, we shall have to keep a very close eye on the new Tory leader.